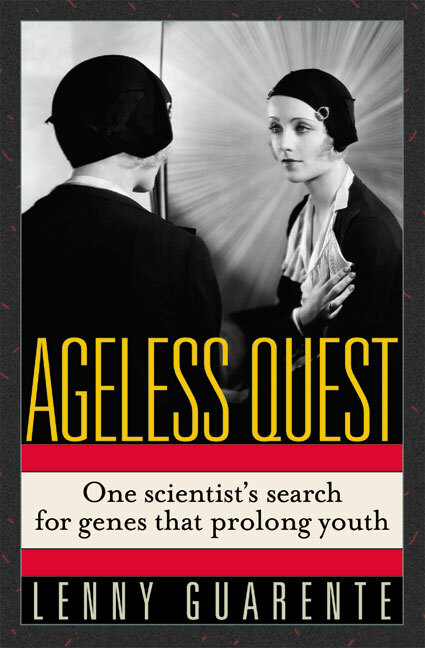 Ageless Quest is a personal, sometimes controversial, account of the pursuit of a genetic cure for aging by an expert in the field. The author is the Novartis Professor of Biology at the Massachusetts Institute of Technology. Aging has always been regarded as a highly complex process with many degenerative changes leading to the cessation of life. But recent research has identified a relatively simple mechanism that governs the pace of aging. Lenny Guarente's Ageless Quest is a scientific detective story for the baby boom generation. It offers an insider's view of an area of potentially astonishing high rewardand equally high risk. Chapter 4 Identification of the AGE Locus. Chapter 13 Starting a Biotechnology Company: Drugs for Aging? "Every important new technology and market segment has a defining chronicle of its beginning. In the minicomputer market it was Tracy Kidder's The Soul of the New Machine. In the agemitigating pharmaceutical market, we believe it will be the new book Ageless Quest from Elixir's Lenny Guarente. Although layman readers may find the science descriptions a little more comprehensive than they're used to, dedicated readers will be rewarded with a good understanding of what looks to be one of the important regulatory mechanisms in human aging, and a significant advance in the quest that man has undertaken for literally thousands of years. Ageless Quest is a must read for anyone interested in the future of an important new biotech market, or who is interested in the real science and progress in the field of age-mitigation." "Part autobiography, part social commentary, part science, [Ageless Quest] does an excellent job of explaining and extolling the use of model organisms for research into ageing.... Ageless Quest conveys some quite difficult ideas and complex experimental results with a clarity and freshness that deserve to make it widely read." "The book tells a good story about the search for a gene and an even better story about the human side of scientific discovery. To these ends, Ageless Quest succeeds admirably." "Ageless Quest is a personal account of a rich and active academic life, in which descriptions of the scientific work that led to the discovery of Sir2, a potentially important biochemical factor that influences life's clock, are mixed with autobiographical sketches. The book is reminiscent in more than one way of Jim Watson's classic, The Double Helix, in that it paints an accurate picture of how scientific research was, and is, done:—the excitement, the frustrations, the fear of competitors and the race for 'highimpact' publications. Ageless Quest is, therefore, not just a book about ageing, nor just about genes and proteins; it is also about people, and the nittygritty of doing science at the end of the twentieth century. One of the most endearing features of this little book, which can be read over the course of a weekend (or during a lengthy run of a native gel, to put it in scientists' timeunits as well), is that its author pays tribute to the many people he has worked with over the years; or, to be more precise, to the dedicated and eager young scientists who have worked for hima noteworthy difference." Basically a personal account of research into aging, including descriptions of his students and postdocs and their work at the laboratory bench, the book is a pleasure to read. The author writes with the clarity of a firstclass journalist, an infectious enthusiasm and an eye for the revealing anecdote.